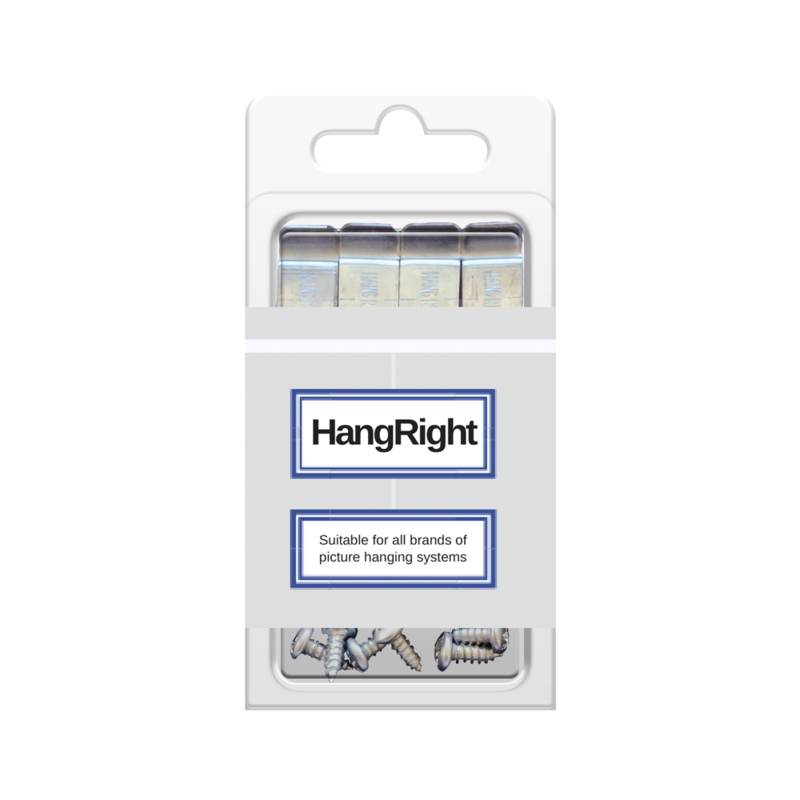 The HangRight Clips are sold in packs of 10; wood screws and instructions are included. Picture Hanging Systems are a terrific way to hang art and memories but some pieces tend to lean further forward than one would hope. The HangRight Clips significantly reduce the forward lean of most pieces by reducing the distance between the artwork and the dropper whilst maintaining the dynamic nature of the picture hanging system itself. HangRight Clips are the best way to ensure framed art and canvasses sit as flat as possible against the wall. 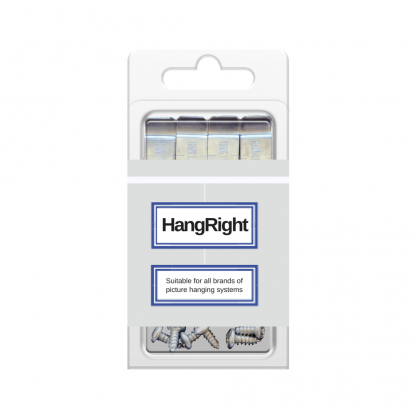 The HangRight Clips are simple to install but do require a small screw to be fitted to the piece. At this stage the clips have been designed for wooden frames and canvasses only.